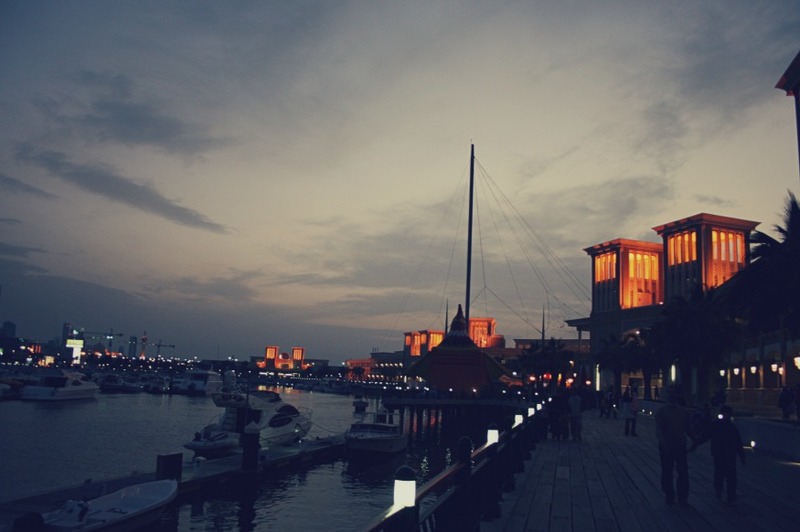 Souk Sharq, once upon a dusk. Among the better malls around here, in terms of how they've married the sea, the mall and a waterway into the mainland - you know, for those beautiful yachts. Their wooden pier-like-walkway is probably the only one of its kind in this country. For a place with so many resources, you'd think there would be more!